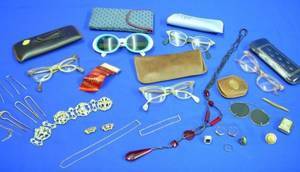 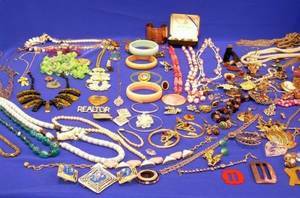 Small Group of Jewelry Articles. 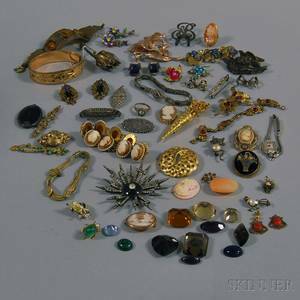 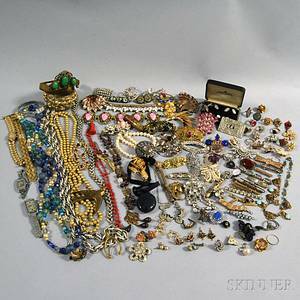 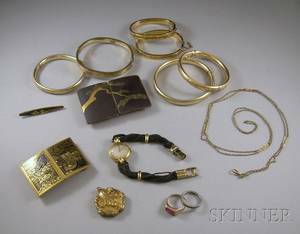 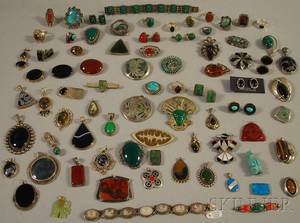 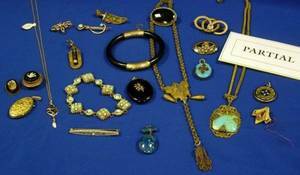 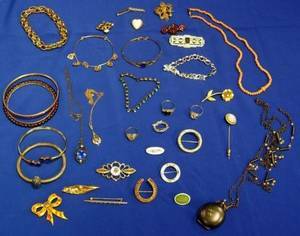 Large Group of Victorian and Vintage Jewelry, including thirty-one pins, many 14kt gold Victorian, eleven pendants/lockets, some 14kt gold, three necklaces, two bangles, one mosaic bracelet, pair of mosaic cuff buttons, a few single earrings, and other items. 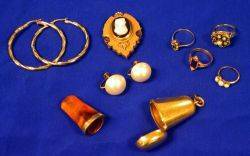 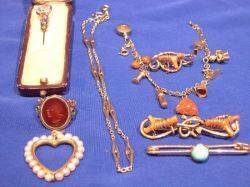 Small Group of Victorian and Vintage Jewelry.